Count on the skilled lawn care and landscaping specialists of Easy Seasons Grassworks LLC in Fort Collins, CO and let us give you a beautiful and healthy lawn. From shrub pruning to landscape lighting, we have all your lawn care and landscaping needs covered. To learn more about the quality of the services we provide, see what our previous clients have to say. “I have used Easy Seasons for over ten years on my business and home. 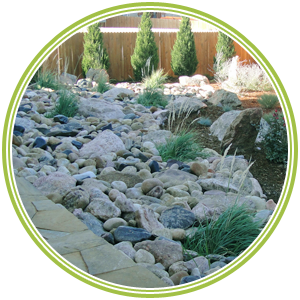 They can handle any job, from the most basic to the most complex landscaping. It’s always done right the first time. Thank you Ron and Kathy!" At Easy Seasons Grassworks LLC, our lawn care specialists are dedicated to providing you with efficient lawn care services. As the go-to landscapers in the area, we also make sure that every property entrusted to us turns into a work of art. Contact us today for more details about our services. One of our representatives will be more than happy to provide the information you need.